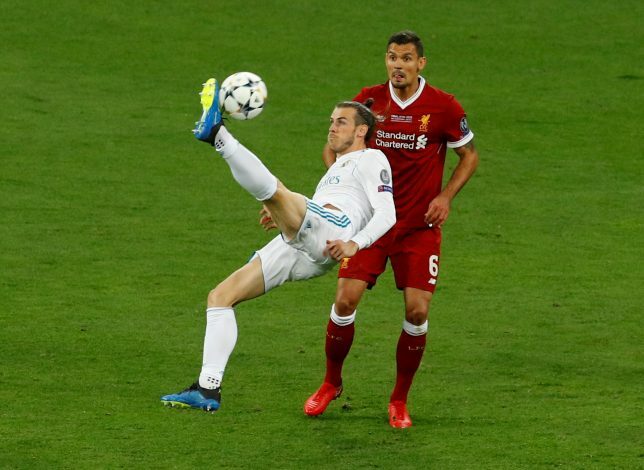 Gareth Bale was a magician at work during the UEFA Champions League final against Liverpool. The Welshman scored two goals to secure Real Madrid’s triumph, the first of which was a marvelous bicycle-kick into the back of the net. However, those might as well have been his last at the club, as the player’s future with Madrid has been shrouded in doubt for quite a while now. The forward has been consistently linked with Manchester United for quite a while now, with the biggest link coming at the start of last season, when Jose Mourinho expressed open interest. Now, the Independent believes United is Bale’s first priority by quite a margin. However, the English giants may not require him as badly as they did a year ago, and the source adds that Bale’s wages of £600,000-a-week may be too high for a player of his age. Had United not signed Sanchez in the winter, with the Chilean also having a sizable wage package, things might have been different. But the fact remains that the former Arsenal and Barcelona forward hasn’t proven to be the player that United badly needed to win games and take charge. Signing Bale would open up the possibility to have maestros across their front-line, but the price may once again be a sticking point, as Madrid will wish to make a sizable profit from the deal should other sides be interested as well. So far, the Welshman’s former club, Tottenham Hotspur, is the other side most touted to sign him, and further still, the player could remain at Madrid should the speculation that Ronaldo will leave bear fruition.